WATERLOO – Six Laurier professors will receive over $500,000 in funding from Ontario’s Ministry of Research and Innovation. The funding includes two prestigious Early Researcher Awards, one to Stephanie DeWitte-Orr, assistant professor in the departments of health sciences and biology, and the other to Ivona Hideg, assistant professor of organizational behaviour and human resource management in the Lazaridis School of Business and Economics. The funding was announced today by Cambridge MPP Kathryn McGarry at an event at Conestoga College. Among the participants were Kitchener Centre MPP Daiene Vernile, and Laurier Vice-President: Research Robert Gordon. 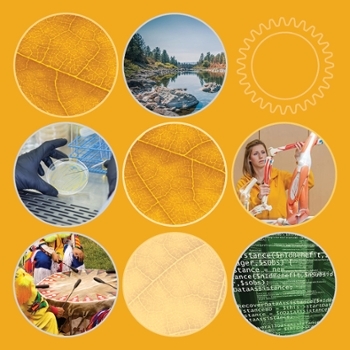 “Laurier researchers are addressing essential and innovative research issues that are of critical importance to Canada’s economic success, the health of Canadians and the sustainability of our environment,” said Gordon. DeWitte-Orr and Hideg will each receive $140,000 in research funding over the next five years. DeWitte-Orr’s research will work to understand the innate antiviral immune responses in aquatic vertebrates, specifically frogs and fish. Currently, researchers do not understand the immune responses of fish or frogs and therefore there are no vaccines to protect fish from serious viruses. Understanding how both fish and frog immune systems respond to viruses will allow researchers to move closer to developing antiviral therapies and protective measures for fish and frogs. “I hope that by studying these immune responses we can work to prevent mass-death incidences in Ontario waters," said DeWitte-Orr. Hideg investigates how benevolent sexist attitudes promote and undermine gender diversity in the workplace. Her work supports the goals of the Ontario Securities Commission’s new rules requiring disclosure of representation of women on boards and executive positions. Her latest paper in the Journal of Personality and Social Psychology articulates the role sexism plays in gender diversity in corporate leadership. “Understanding why women are underrepresented in top positions is key to effective employment-equity policies,” said Hideg. In addition to the two Early Researcher Awards, four other Laurier professors received funding. Joel Weadge, assistant professor in Laurier’s department of chemistry, will receive $137,000 in funding through the Ontario Research Fund Large Scale Applied Research Project (ORF-LSARP). Each year, approximately 88,000 people become sick from consuming food that is contaminated with salmonella, a group of bacteria commonly found in the intestines of animals and birds. The bacteria can be transmitted to people when they eat foods contaminated with animal feces. Weadge will develop rapid diagnostics and natural solutions to identify and control salmonella on plants and fresh produce. Vladimir Kitaev, associate professor in the department of chemistry and biochemistry, will receive $87,500 through the Ontario Research Fund - Research Infrastructure Small Infrastructure funding (ORF-SIF). The funding recognizes Kitaev’s expertise in nanoparticles. Kitaev explores nanoscale building blocks to allow for customization of new advanced materials through the manipulation of nanocomposite structure. One of the important directions he will pursue is the exploitation of beneficial properties of these new materials, specifically focusing on their uses in improving the sensitivity of optical devices and sensors. The funding will also help expand his research program. Hind Al-Abadleh, associate professor in the department of chemistry, will receive $54,933 from the Ontario Research Fund Small Infrastructure Fund (ORF-RI). Louise Dawe, assistant professor in the department of chemistry and biochemistry, will receive $16,014 from the same fund. Each researcher has previously received Canadian Foundation for Innovation (CFI) John R. Evans Leaders Funding (JELF) to support their work to reduce harm to the environment. About the Early Researcher Awards program: Established in 2005, the program helps to attract and retain top talent in the province and help promising researchers build their teams. About the Large Scale Applied Research Project Funding: This funding opportunity will be aimed at supporting projects focused on using genomic approaches to address challenges and opportunities of importance to Canada’s natural resources, including interactions between natural resources and the environment, thereby contributing to Canada’s bio-economy and the wellbeing of Canadians. About the Small Infrastructure Fund: The Ontario Research Fund - Small Infrastructure helps attract, retain and develop leading researchers at publicly funded Ontario research institutions through the acquisition and renewal of leading-edge technology and equipment. Read about Stephanie DeWitte-Orr’s lab. Read about Ivona Hideg’s EDGE lab. Read about Joel Weadge’s lab.